AutoMARK Machine | REV Up! 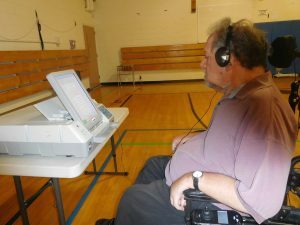 The AutoMARK Voter Assist Terminals are marking devices that use audio cue capacity for visually impaired voters. 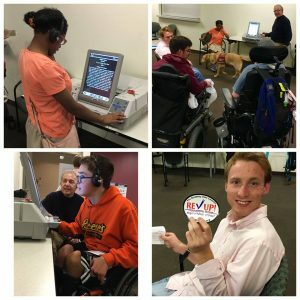 The AutoMark also has a feature that will greatly magnify the ballot or display the ballot high-contrast for voters that have limited visual impairment. The AutoMark can also produce an oral report to the voter as the choices selected prior to the voter printing the ballot. The AutoMARK Terminal may be used by anyone. The AutoMARK Terminal must be in an accessible and private location. An official should be available to show you how it works. Click Here to view a video on how to use the AutoMARK Terminal. Here are more videos on how to use the Automark machine from the Cuyahoga County Board of Elections (Ohio).